An EIN Number stands for Employer Identification Number and it will be issued by the IRS to your Florida LLC. An EIN is to your Florida LLC what a Social Security Number is to a person. It helps the IRS identify your business for tax and filing purposes. Having an EIN for your Florida LLC allows you to open a separate bank account under the LLC’s name, apply for certain licenses and permits, and handle employee payroll (if applicable). Even though it’s called an Employer Identification Number, it doesn’t mean that you have to have employees. The EIN is just a type of Taxpayer Identification Number (TIN) that identifies your Florida LLC with the IRS. Your Florida LLC’s EIN may be called different names. They all mean the same thing though. Wait for your Florida LLC to be approved by the Department of State before applying for your EIN. Otherwise, if your LLC filing is rejected, you’ll have an EIN attached to a non-existent LLC. Applying for an EIN for your Florida LLC is completely free. If you’re a foreigner who formed a Florida LLC, you can still get an EIN without having an SSN or ITIN. 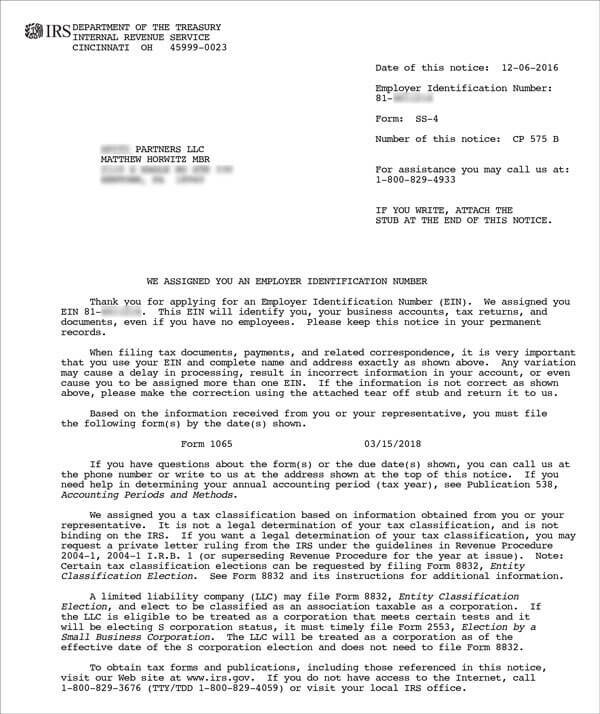 If you’re a foreigner and you formed an LLC in Florida, we have instructions below on how to apply for your EIN. The EIN Responsible Party is a person that goes on file with the IRS when you apply for an EIN for your Florida LLC. The IRS just wants one person as the EIN Responsible Party. They don’t want all the Florida LLC Members’ information. The IRS gets the other Members’ information when you file your 1065 Partnership return and issue K-1s each year. Note: If you have a Florida LLC that is owned by another company and you try to get an EIN online, you’ll just get an error message (EIN reference number) at the end of the application. To learn more about who can be the EIN Responsible Party for your Florida LLC, please see EIN Responsible Party for LLC. How is a Florida LLC taxed? By default, a Florida LLC is taxed based on the number of Members (owners). The default tax status for a Florida Single-Member LLC is a Disregarded Entity, meaning if the LLC is owned by an individual, the LLC is taxed like a Sole Proprietorship. If the LLC is owned by a company, it is taxed as a branch/division of the parent company. The default tax status for a Florida Multi-Member LLC is Partnership, meaning the IRS taxes the LLC like a Partnership. If instead, you want your Florida LLC taxed as a C-Corp, you’ll first apply for an EIN and then later file Form 8832. If you want your LLC taxed as an S-Corp, you’ll first apply for an EIN and then later file Form 2553. If you choose to have your Florida LLC taxed as a Corporation, make sure you speak with an accountant as there are a lot of details you need to consider. Having an LLC taxed as an S-Corporation is a much more popular choice than having an LLC taxed as a C-Corporation. S-Corporation taxation usually makes sense once an LLC generates about $70,000 in net income per year. We recommend applying for an EIN online for your Florida LLC if you have an SSN or ITIN. If you don’t have an SSN or ITIN, you can still get an EIN for your Florida LLC. You just can’t apply for an EIN online. Once the IRS issues an EIN for your Florida LLC you will receive your official approval, known as an EIN Confirmation Letter (CP 575). You don’t have to wait for your EIN cancellation to be finalized before getting a new EIN for your Florida LLC. After getting your EIN, you can then open a separate business bank account for your Florida LLC. Aside from the above, banks may also require other paperwork (like proof of address), so we recommend calling a few banks in Florida ahead of time before visiting them in person. It’s also a good idea to ask if they have monthly fees on their “basic” business checking accounts since there are a number of banks that don’t have any monthly fees. Note: You will need to open a bank account in Florida since that is where you formed your LLC. LLC owners are called “members.” Single-member LLCs may or may not need an EIN. If your LLC is a home-based business and you act as owner, manager, director and maintenance department, you are not required to have an EIN. You can simply elect to be treated as a sole proprietorship for tax purposes and use your social security number as your LLC EIN. My LLC is home-based and is used solely for a rental property at a different address. I have no employees. In Florida, do I need an EIN or can I just use my SSN? Hey Karen, yes, you can use your SSN as a single-member LLC, but you will need an EIN when opening an LLC bank account. Additionally, most people prefer using an EIN wherever possible for privacy and identity theft reasons. Hope that helps. I would like to have one LLC, but I would like to have several tradenames under the one. How do I register multiple tradenames under the LLC? Hi Ann, you would form an LLC with the state of Florida, wait for it to be approved, and then get your Federal Tax ID Number. Once you have all that, you would file your Tradenames (known as Fictitious Names in Florida) with the Department of State here. There is a portion of the filing where you list the owner. Don’t enter your name, but below that, you’ll see a spot to enter your existing LLC. You would just repeat the process for each Fictitious Name you need to register. Florida Fictitious Names cost $50 each to register and must be renewed every 5 years. We don’t have a lesson on this yet, but there is information and instructions on the link I provided. all was great, helped a lot, got it all done, thanks Mat. Awesome. Glad to hear hear Jorge. Best wishes with your business! I have already created/registered my new LLC on sunbiz in FL. I want to use it for my side business for repairs, and I am the sole member/owner/manager. I see that you can use a SSN or register for a EIN, so I wonder what is the difference? If I do the EIN, then my LLC taxes are filed separately from my personal taxes correct? And if I do not apply for the EIN, then all my earnings (personal and LLC) are combined and filed together? Sorry I am a little confused. Hi Lashley, first, we recommend hiring an accountant as that should take the worry out filing your taxes correctly. And no, whether or not you get an EIN does not affect how your taxes are filed. Single-Member LLCs are by default taxed like a Sole Proprietorship. Meaning, instead of filing a separate federal-level corporate return (like an 1120 or 1120S), your business incomes, expenses, credits, and deductions are usually listed on a Schedule C, which is a part of your personal 1040 federal income return. The amount of tax you pay is the exactly the same. Also check out how are LLCs taxed. Hope that helps! I already have my LLC and got my EIN by fax over a month ago and until now, the EIN does not appear in the sunbiz website… is there any procedure or anything I must do for it to appear there? Is it normal to take that long? Can I open a bank account only with the fax I received? Hi Thais, I’m guessing you’re assuming that the IRS notifies the Florida Department of State after they issue your LLC an EIN, correct? If so, that’s not how it works. The IRS doesn’t contact the state to give them your LLC’s EIN. If desired, that needs to be done by you. If a filer wants to disclose their LLC’s EIN on their state record, you can enter your EIN when you complete your Annual Report next year. Also keep in mind that you’re not required to disclose your EIN to the Florida Department of State, however, something does need to be entered into that field (in the FL Annual Report filing). If you’d rather not disclose your EIN, you can just enter “Applied for” or “None”. And yes, you can certainly open an LLC bank account with your fax from the IRS. Hope that helps! When we do the EIN the site recommends to do as a partnership, and then we did so, but then the site gives only option to select individual! Could you please advise how to get EIN for multi-members LLC? Hi Mag, that “individual” is the EIN Responsible Party for the LLC. The LLC will still be taxed as a Partnership. Hope that helps! Thanks for your lessons! Great job very helpful! My LLC has 2 members. One has SSN and I am as Foreign Nationals without ITIN. Is it allowed to get EIN if only one member has SSN or I have to get my ITIN? and then get EIN? Hi Nikita, thank you for the kind words! Yes, you are correct. Only 1 EIN Responsible Party is needed for the LLC. Either one of you can be the Responsible Party since you don’t need an SSN or ITIN to get an EIN. We’ve since updated this page with 3 different sets of instructions on how to get an EIN for your LLC. Hope that helps! If I register with Sunbiz, then do I have to register with the IRS? 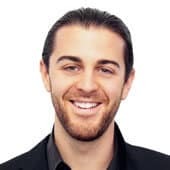 Hi James, if you are forming an LLC in Florida, the LLC is formed with the Florida Department of State (Florida Division of Corporations/SunBiz). Then you obtain an EIN for your LLC by applying for one with the IRS. Hope that helps answer your question. I have set up my LLC on sunbiz.org and I have gotten my EIN from the IRS. But now I’m a little confused. I was told that I needed to register my EIN with sunbiz.org as well, except I cannot find anywhere on the website how to do this. I have contacted them and have received no response. I need to finish my prep, as the business goes live very soon, and I want to make sure I’ve covered all my bases in the legal and federal levels. Hi Kay, you aren’t required to list the LLC’s EIN with its filing. Hope that helps. Thank you for responding, Matt. I’m still very confused. Florida’s small business laws and regulations are not easily accessible. I’ve done everything I was told to do, but I have no idea if I’m legitimate yet. Especially on sunbiz.org, the Florida small business site. I keep trying to register the business on sunbiz so that all my filing and forms are on schedule and I’m getting reminders. But it keeps saying I have to register my EIN with sunbiz. But I cannot find anywhere on the website how to do it. You say it’s not required. But sunbiz won’t let me do anything without it. I’m very frustrated. And scared I’m going to do something wrong and screw up the legitimacy of my business. Hi Kay, to make sure I fully understand, what type of registration are you doing on Sunbiz? If you are forming a Domestic Florida LLC (Sunbiz > Start a Business > Start E-Filing > Limited Liability Company > File or Correct Florida LLC Articles of Organization > Start New Filing), there is actually no field for an EIN. So I’m not sure exactly what you are trying to do or what filing you are referring to. Thank you.